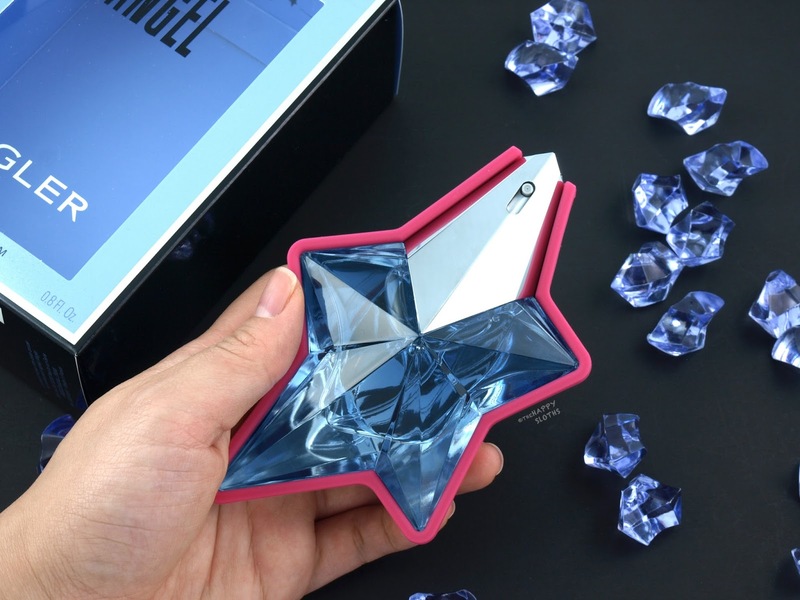 The Mugler Angel Arty Cover Edition 2017 is a special edition of the Mugler fragrance (25ml) housed in a unique removable "arty cover". Similar to a mobile phone cover, the Mugler "arty cover" is made of flexible plastic and rubber. Therefore, it slips on and off the bottle very easily. Depending on how you want your Angel to look, you can leave it on or off. 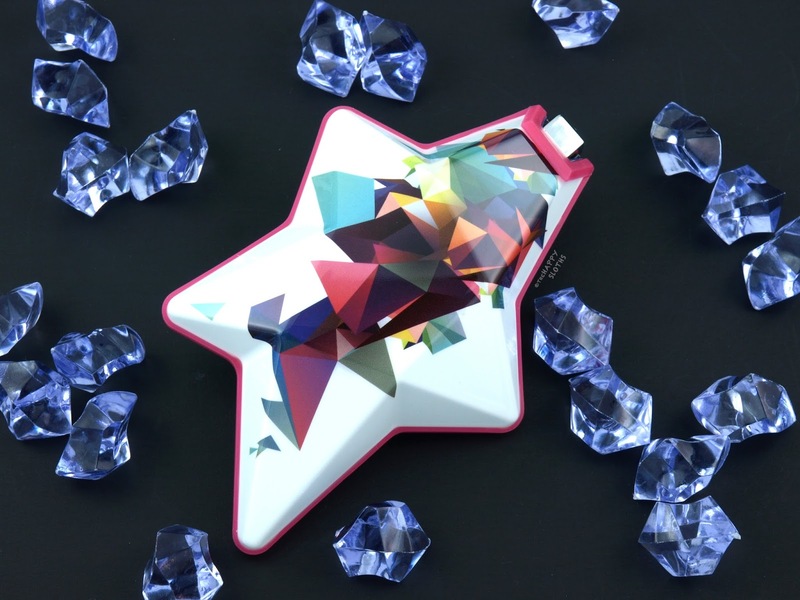 The outside of the cover features a colorful and modern geometric design and the inside of the cover is coated with a reflective silver blue finish that perfectly illuminates the light blue tinted perfume. I've never owned a perfume that came with its own cover before so this is definitely very special. 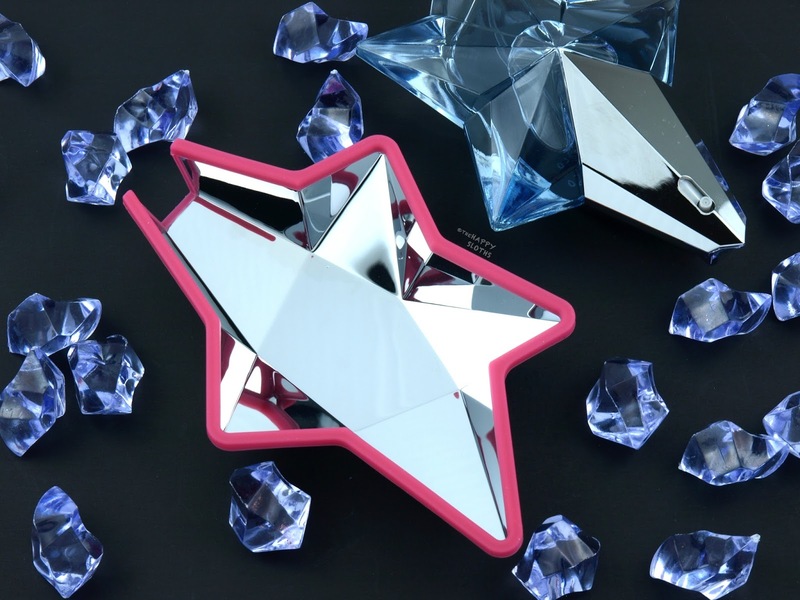 Whether you are a fan of the Mugler Angel or just a general perfume collector, definitely check this out! I've written a detailed review of the Angel scent before so I won't go into too much detail here. Essentially, all you need to know is that Angel is a very intense gourmand fragrance made with more than 20 notes. With a sweet, intoxicating, and earthy profile, Angel is one of those fragrances that you just have to experience in person to see if it's your cup of tea. 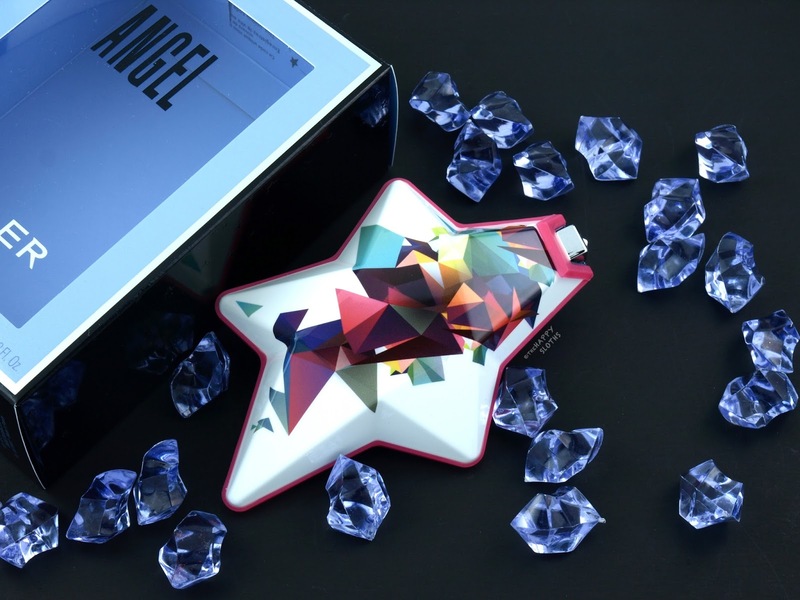 To read my full review of the Angel fragrance, click here. 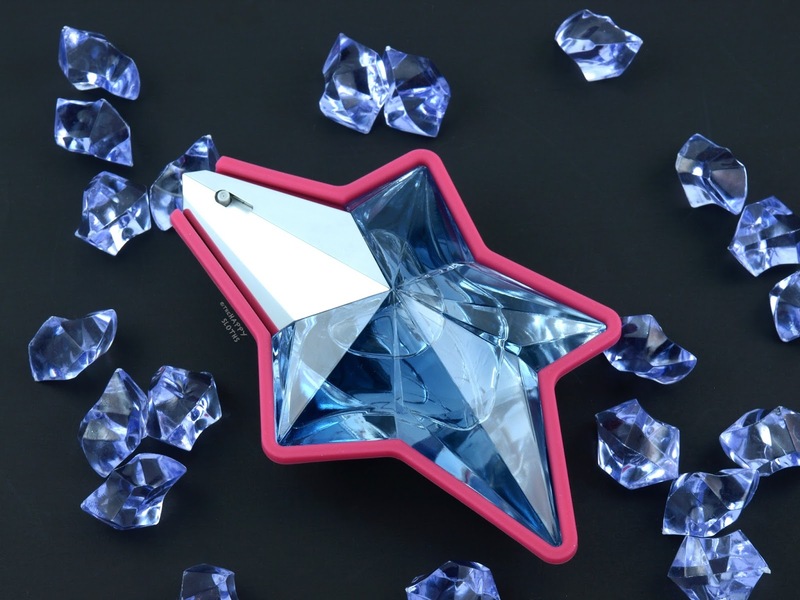 Mugler fragrances are available at Hudson's Bay, Shoppers Drug Mart, Jean Coutu, and Murale.